One nail = one concert: show off your score on your cap! These little adhesive iron-on bronze nails will perfectly suit your cap and put a count on the number of Céline shows that you have already attended! One concert, two? Or maybe twenty? We know that according to your age and life, you have had the opportunity to follow Céline for a long time. Or perhaps you are just beginning? We have decided to sell these nails individually or by bags of 10, so that everyone can mark the exact number of concerts they attended. Just iron them on for a few seconds and you are good to go! 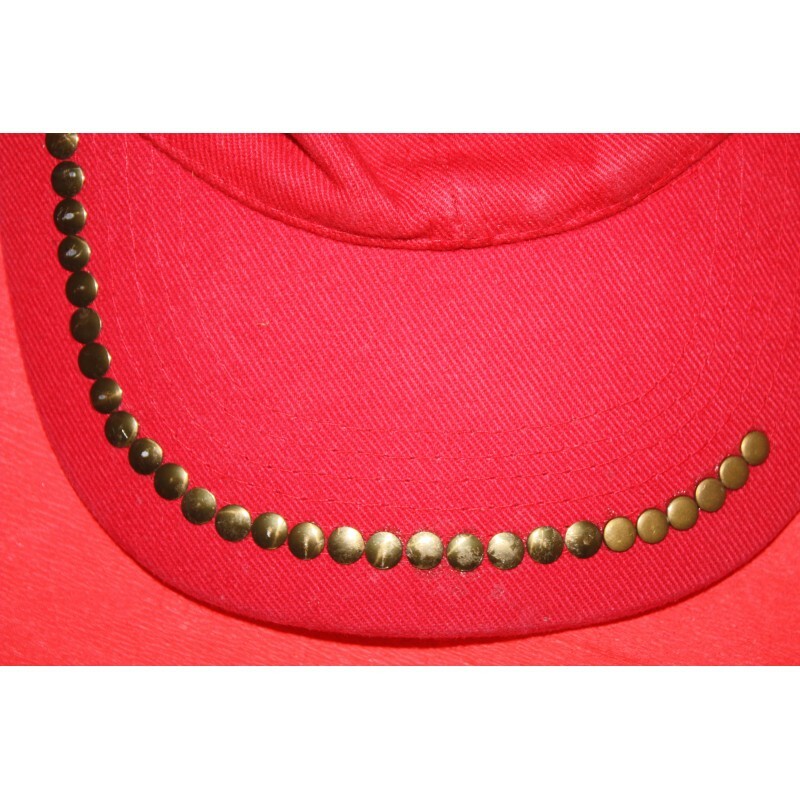 Place the adhesive face of the nail on the cap, cover it with a piece of fabric and iron it. Repeat the process after a few seconds to make sure the nail is well in place. 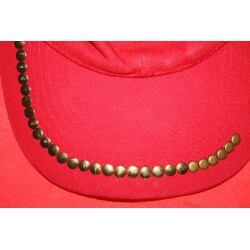 But be careful, these nails have a specific spot on the cap, just like all the other accessories. Check the picture and place them on the cap's peak border, starting on the left side when looking at it. Align each nail with a minimum of distance between them, so you can showcase as many concerts as possible!